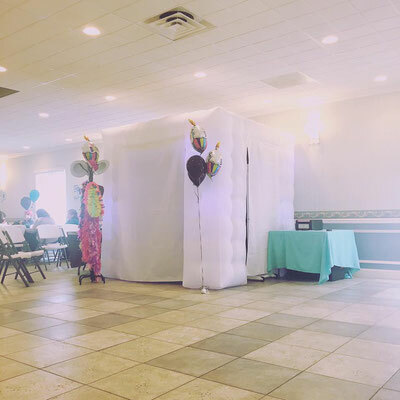 Our 8 foot, spacious cube – inflatable booth, you can easily fit friends and family in without being confined to a small space. 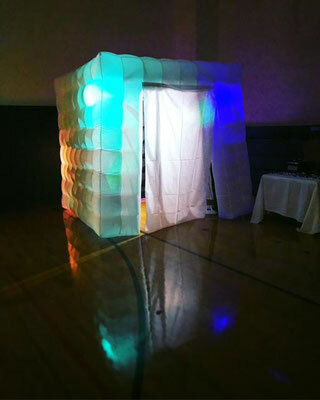 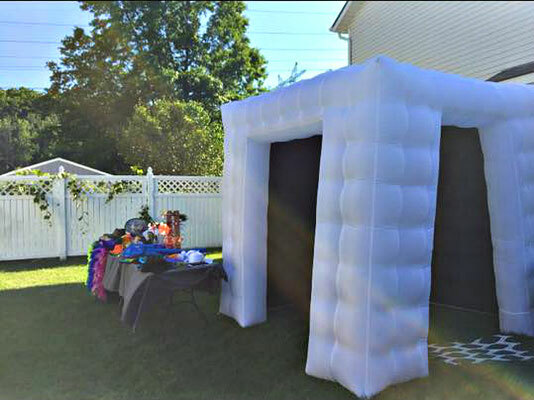 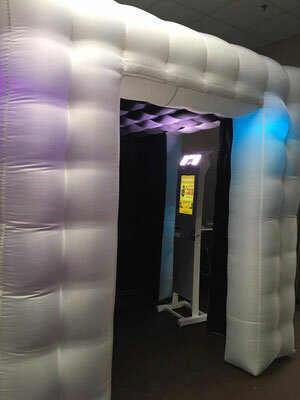 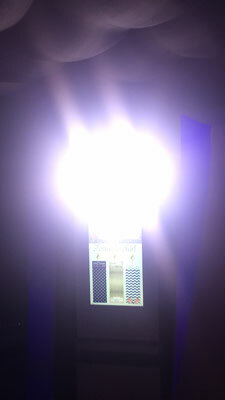 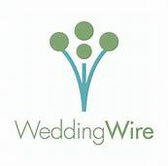 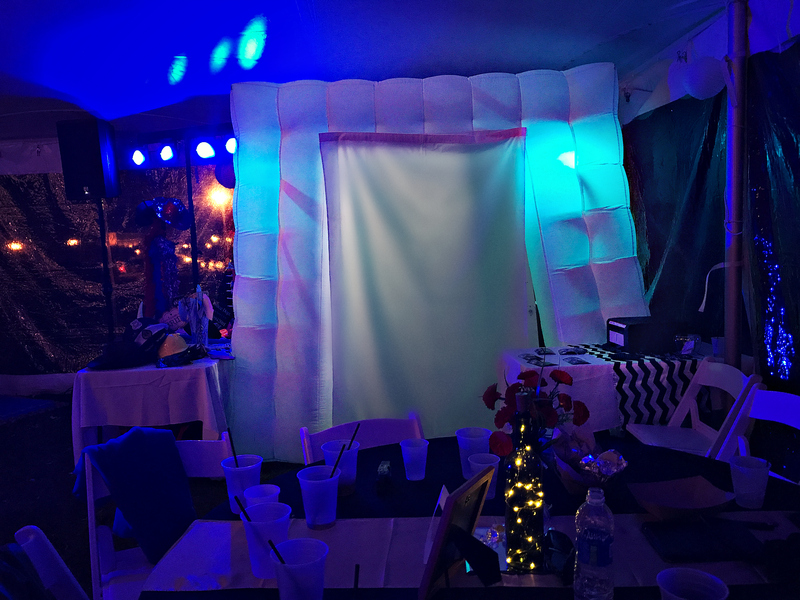 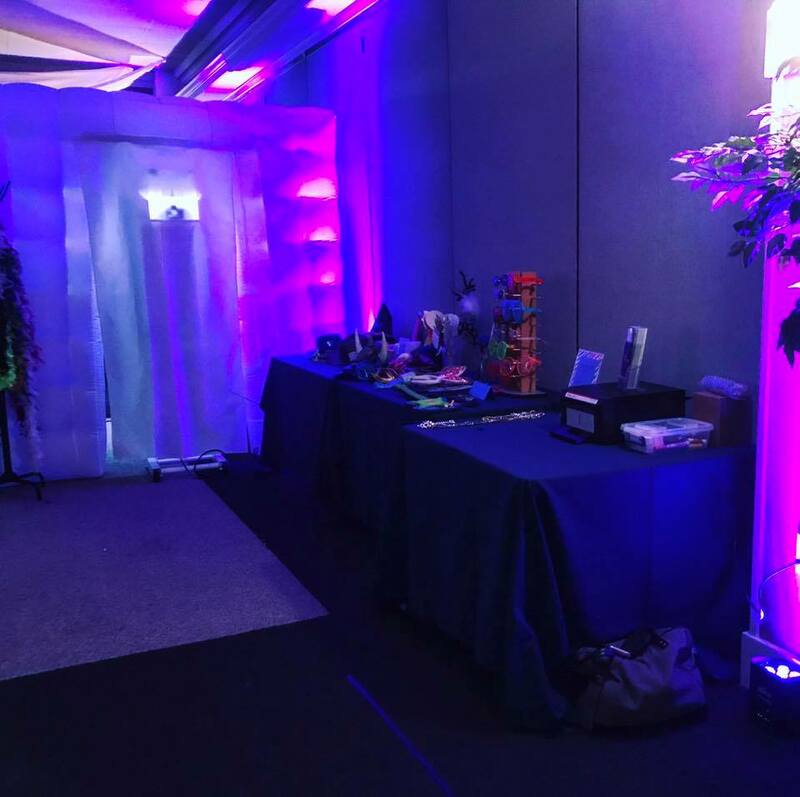 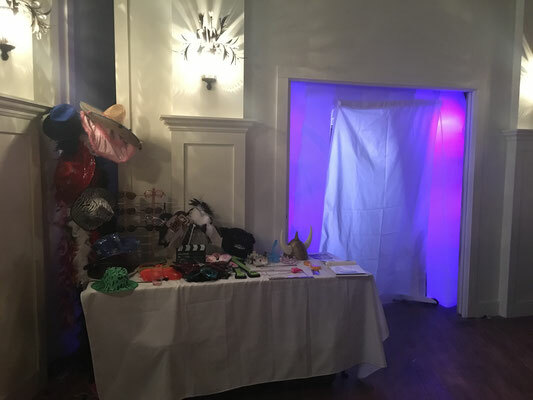 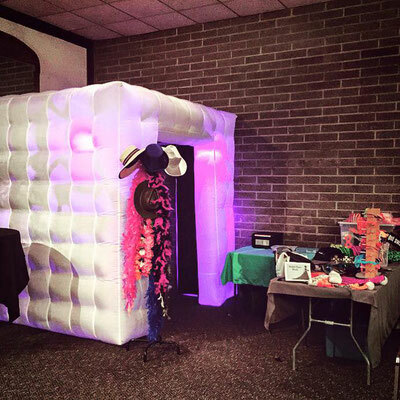 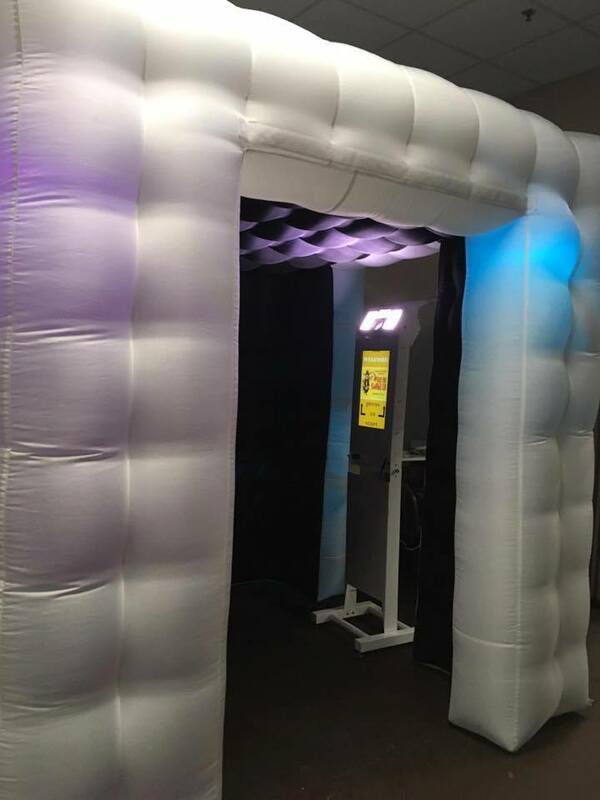 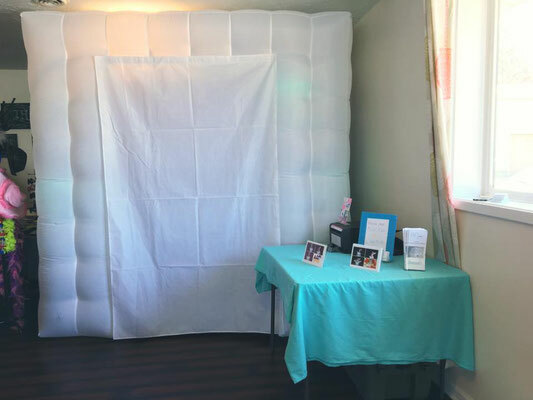 The booth has an elegant white exterior shell that features lighting options to enhance any theme. 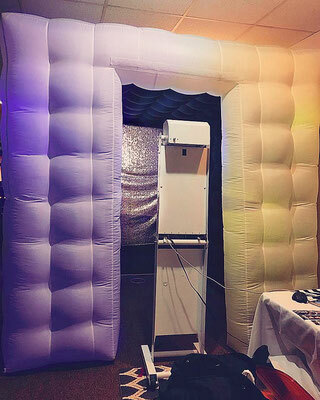 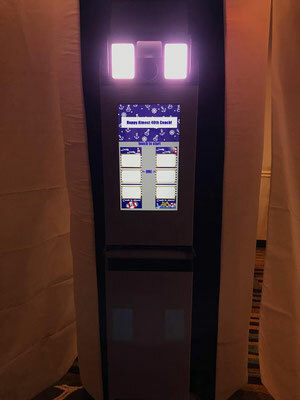 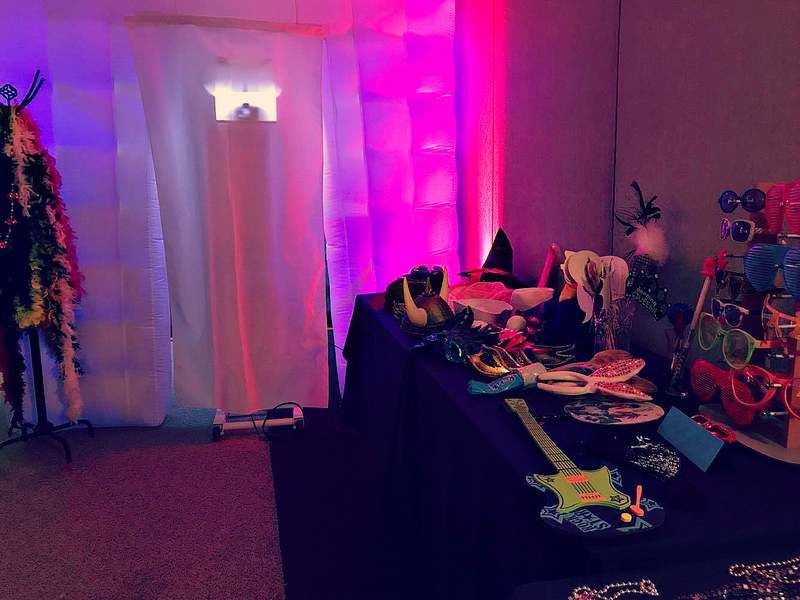 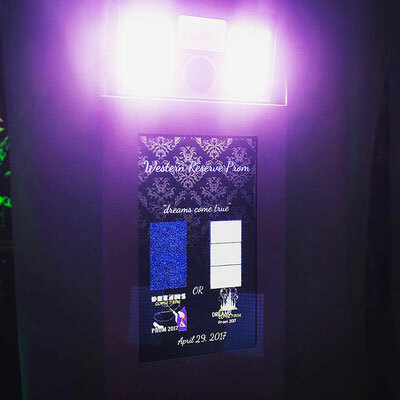 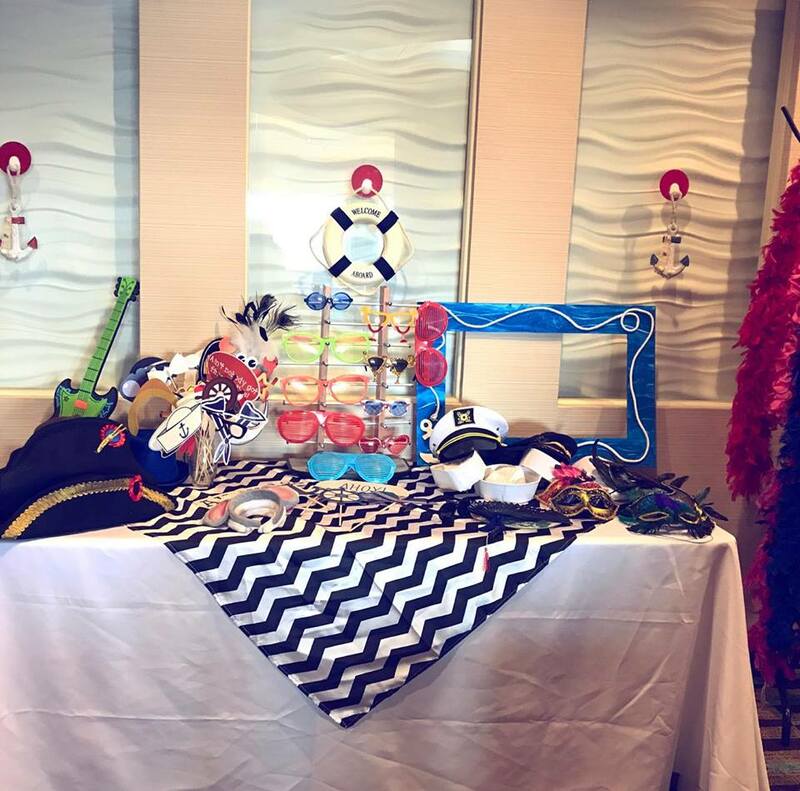 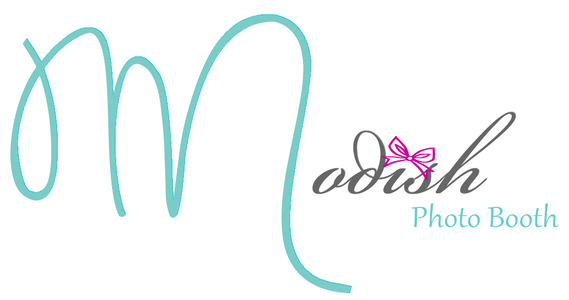 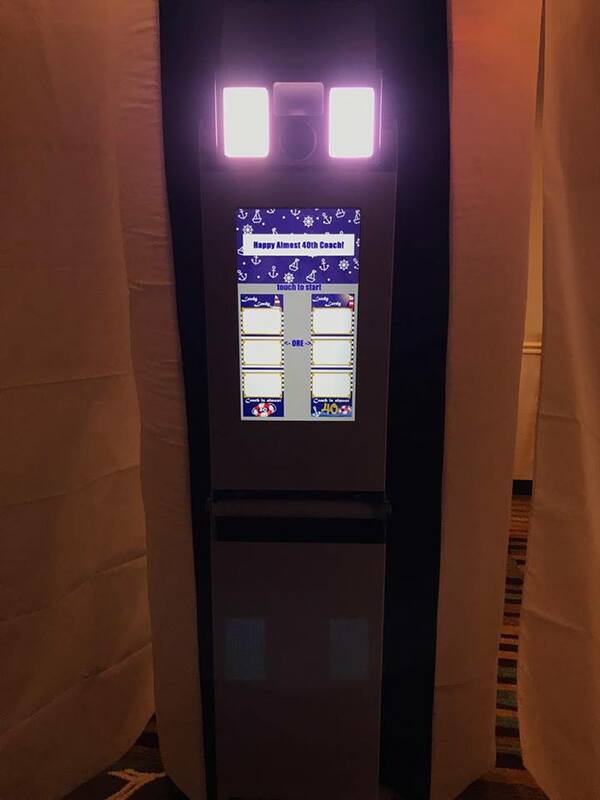 Inside our booth you will find an easy to use 18 inch flat – touch screen monitor backed by a high quality DSLR camera and professional lighting to make every one look flawless.